Located between Elizabeth Bridge and Liberty Bridge (Várbalang), Gellért Hill (235m) is one of the most characteristic features of the right bank of the Danube. Located between Elizabeth Bridge and Liberty Bridge (Várbalang), Gellért Hill (235m) is one of the most characteristic features of the right bank of the Danube. In the 19C, the hill's slopes were covered in vines, later wiped out by phylloxera. 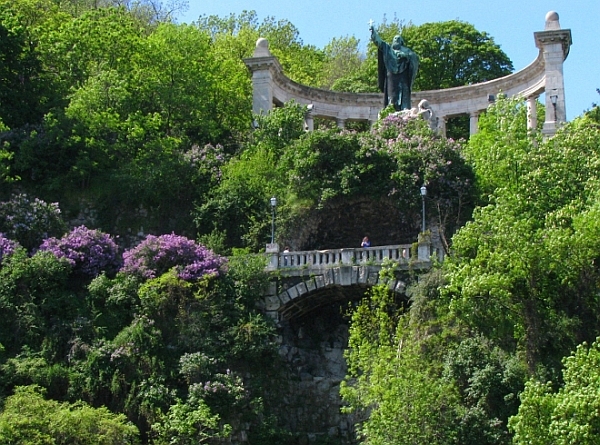 According to legend, Gellért Hill was popular with witches and wizards, who met here for their Sabbath nights. At the foot of the hill, the Gellért (Gellért fürdő) and Rudas (Rudas Gyógyfürdő) baths are fed by numerous thermal springs. Not many cities have a hill rising from the city centre and protected as a national park. Gellért Hill has a fortress called the Citadel on top of it, which was built in 1851, and is now a tourist attraction with terraces offering the fullest panoramic view of the city. The hot springs deep inside the hill supply three spas at the foot of the hill. The Gellért Thermal Baths, Hungary’s grandest spa (2-4 Kelenhegyi út), where facilities include thermal and swimming pools, bath tubs, whirlpool baths, wave pools and a water park. The other two, Rudas Baths (9 Döbrentei tér) and Rác Baths (8-10 Hadnagy utca), date back to the era of Turkish rule in Hungary. Facilities at both include tubs and thermal pools and as well ‘Turkish’ or steam baths. 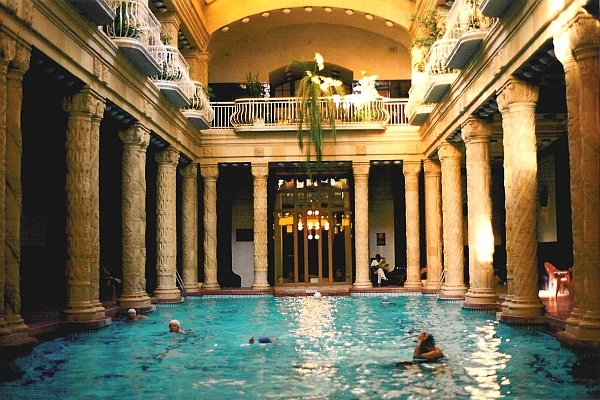 A swimming pool can also be found at the Rudas Baths. Other monuments from the Turkish period include the tomb of Gül Baba, a Muslim shrine on Rózsadomb (Hill of Roses, 4 Mecset utca), and the domed Király Thermal Baths (82-84 Fő utca), with facilities including thermal pools, tubs and steam baths. Fertile hillside vineyards have made Budafok in the south of Budapest a city of wine and sparkling wine. Its highlights include a labyrinth of cellars and the Museum of the Törley Sparkling Wine Manufacturers (82-94 Kossuth Lajos. utca). The Szoborpark (Park of Sculptures) at the junction of Balatoni út-Szabadkai út displays an unparalleled collection of socialist-era public sculptures. The Castle Museum in Nagytétény (9-11 Kastélypark utca, 22nd District of Budapest) has an interesting collection of furniture. 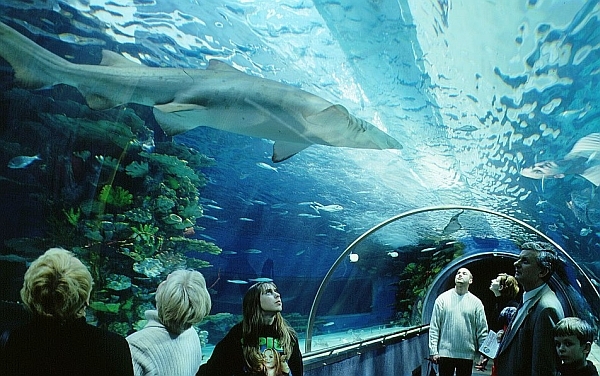 Offering a glimpse of sea life, the Tropicarium at the Campona shopping mall is worth including in a day’s programme. Did you like Gellért Hill? Please share your opinion below or rate it at the top! Have you got any Budapest or Gellért Hill related question? Please have a look at our Questions & Answers section! There is an easy way how to link to our Budapest guide & maps about Gellért Hill, ready to use on your website. Simply copy & paste the HTML code below into your page source code. Thank you for all links to Budapest travel guide!